As a family lawyer practicing in Kelowna, I strive for best practices for BC family lawyers. I am frequently struck by the lack of civility in family matters (by both the professionals and parties involved). The human condition is complicated and emotions run high when dealing with family issues such as divorce, separation, child custody and spousal support. 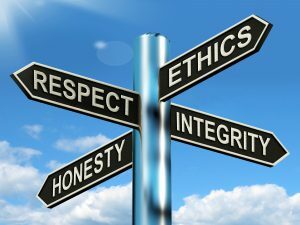 That being said, the rules that I strive to adhere for in my professional life as a Kelowna family lawyer are the same that I have maintained in my home for my children and for myself in my personal life: honesty, respect and consideration. In my respectful view, these cover all bases and all rules of civility and appropriate social conduct fall under these principles. Given the emotionality of the issues in family law and the high stakes of these matters, particularly those relating to children and financial futures, it is not always easy to apply or mirror these to others. Parties in family matters must deal with the dispute resolution process such as mediation, arbitration, litigation, along with the relationship with lawyers, information overload on the law and the confusion of re-establishment of relationships with their former spouse and then often new family relationships with current partners, spouses and/or families. It is difficult to keep the big picture in focus and we become blind to ensuring a viable, economic and pragmatic resolution. During that period of blindness, the basic rules of honesty, respect and consideration are frequently forgotten, adding further conflict not only between the parties but sometimes also between the professionals. How and when or if children and parents will see each other. What schools they will go to and in some broader terms what type of education a child will receive. What money each parent will have to be able to support their family/children. Whether they will have the extra money for things like braces, glasses, special needs care. The type of activities, if any, the children will participate in. What support if any they will have for post-secondary education. Of significantly growing importance as we deal with increasing numbers of high conflict matters, is whether children will have the counselling and support resources they need to help them deal with and transition to the separation and issues which arise from the separation. All of this affects not only the potential of who these children become but how they will contribute to and become part of our neighborhoods; our communities; our professions and the tapestry of our society as a whole. My mother always told me whenever I went to stay at a friend’s or at a hotel to leave the place better than when I found it. She also taught me the value of seeing people in difficult places in their lives as lost souls and the importance of those moments of being truly present to others and of leaving pre-conceived ideas and notions out of the equation. I have extrapolated her words to me and applied them in my life to mean “leave the person in a better place then when you found them/they found you”. The challenge for family lawyers is to adopt this principle and apply it in every respect to their practice as this relates to their staff, the clients; other counsel, and the Bench. 1. Lawyers should be constructive, respectful and seek to minimize conflict and should encourage clients to do likewise*. 2. Lawyers should strive to remain objective at all times, and not to over-identify with clients or be unduly influenced by the emotions of the moment. 3. Lawyers should avoid using inflammatory language in spoken or written communications, and should encourage clients to do likewise. 4. Lawyers should caution clients about the limited relevance of allegations or evidence of conduct. 5. Lawyers should avoid actions that have the sole or predominant purpose of hindering, delaying or bullying an opposing party, and should encourage clients to do likewise. 6. Lawyers cannot participate in, and should caution clients against, any actions that are dishonest, misleading or undertaken for an improper purpose. (d) the importance of court orders or agreements. (b) failing to do so may have a significant impact on both the children’s well-being and the client’s case. 9. At all stages of the dispute, lawyers should advise and encourage their clients to consider all available and suitable resources for resolving the dispute, in or out of court. * Lawyers are not obliged to assist persons who are disrespectful or abusive. Most of these guidelines save and except #7, can be equally adopted by clients when dealing with separation, divorce and other family matters. Keep the person in mind. Take time to get to know the people involved (in the case of family matters, be open-minded and take the time and the initiative to get to know the other person in a new way – as a co-parent rather than a partner). Few gifts are greater than feeling known and understood. Be respectful, even in disagreement – particularly in disagreement! It’s not the amount of conflict or disagreement, but how it is handled. Edit yourself – avoid saying every critical thought when talking about sensitive issues. Be aware of your own “hot buttons” and defensiveness. Self-awareness allows you to anticipate and manage your reactions. Choose your issues wisely. Don’t argue simply for the sake of arguing. Stepping back and looking at the big picture gives a better perspective of the issues that really matter. It’s not about avoiding conflict when necessary or about simply “pretending to be nice.” The Johns Hopkins Civility Project suggests it’s about three things — respect, restraint and consideration. When we treat people with kindness and consideration, we show them that we value them as human beings, not just human doings. It’s what builds connection. But good relationships don’t just happen overnight. Trust and credibility need to be earned. Divorce can be done respectfully. Contact the Kelowna family law offices of Audra M. Bayer (affiliated with MacLean Family Law at 778 754 1542 or at kelowna@macleanlaw.ca. Dr. P.M. Forni, a professor at Johns Hopkins University, co-founded the Johns Hopkins Civility Project in 1997. An aggregation of academic and community outreach activities, the JHCP aimed at assessing the significance of civility, manners and politeness in contemporary society.